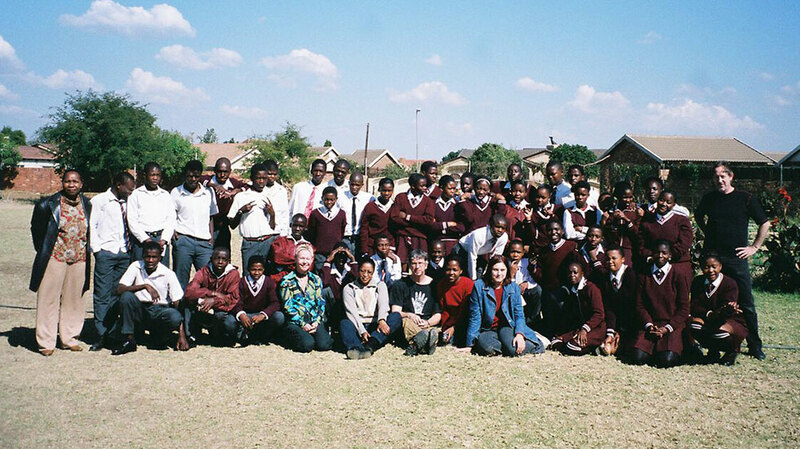 In May, 2005,TMTTR traveled to Pretoria, South Africa, where a TMTTR exhibition was held at the Pretoria Art Museum, and, for the first time,TMTTR staged a community outreach project. 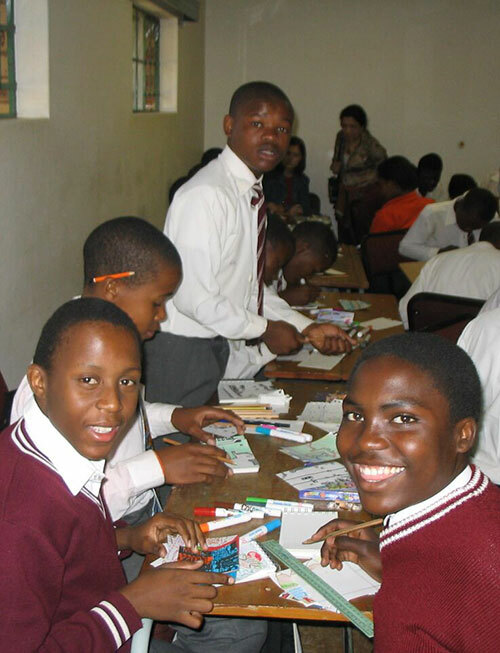 For this component of TMTTR-South Africa,TMTTR artists worked on an art project with forty 10 to 14 year old schoolchildren at their school in Mamalodi Township, outside of Pretoria. For four days, prior to the TMTTR exhibition opening,TMTTR artists traveled to the students’ classroom to work with the students. As a result, each student created at least two images, on paper, about the theme of water. 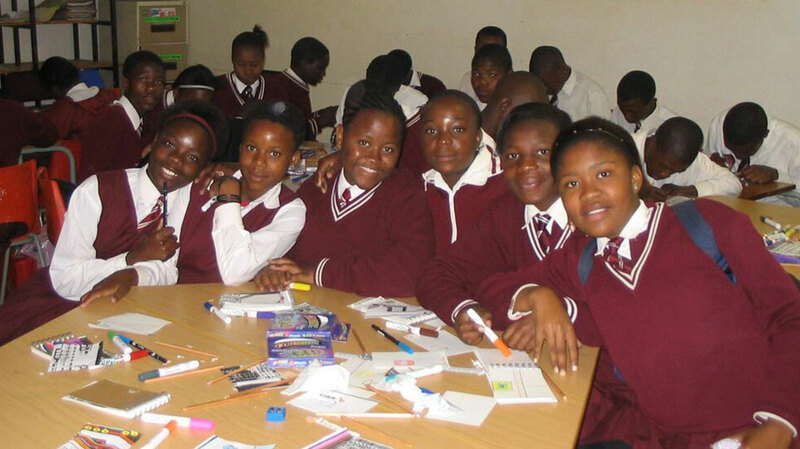 The students’ work was then displayed at the Pretoria Art Museum as part of the TMTTR exhibition. For the exhibition’s opening reception, all the students, with their parents, were transported to the museum, where all forty students received a certificate. Additionally,TMTTR artists conducted a discussion and private tour of the exhibition with 50 students from the Tshwane University of Art and Technology.